Are you interested to learn more about what the NordicTrack T 6.5 S treadmill? It comes with a wide range of workout options, incline settings, and high speeds. We also liked how it’s perfect for people living in smaller spaces. Take a look at our detailed review below to learn everything you need to know about this treadmill. By the end, you’ll have a much better idea of whether it’s the best choice for your needs. This NordicTrack treadmill has a motor that runs off a 2.26 CHP. As a result, it’s pretty powerful, especially when you consider the price range that it’s available in. We found this motor was powerful enough for walkers, joggers, and runners. You’re able to reach a top speed of 10 mph. For most people looking to get fitter, this maximum speed is plenty. Moreover, we liked how you can increase the speed in small increments of 0.5 mph. It allows you to have full control over the exact speed that you want to workout at. One of the main features that we noticed surrounding the deck of this treadmill is how it comes with awesome cushioning technology. 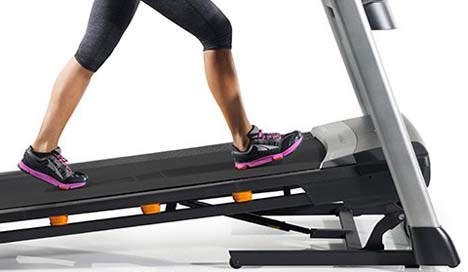 Normally, a cushioned deck is something you’d find among the higher end treadmills. This NordicTrack treadmill also lets you choose whether you want the cushioning system on or off. While it’s off, you have the sensation of being on concrete outdoors, which is what some people prefer. However, if you suffer from joint problems, or want to prevent them, turning the cushioning system on would be beneficial. In addition to the cushioned system, the deck itself is very durable and thick. It’s a total of 20 x 55” in size. This is plenty of room for people looking to walk and jog. It may feel a little limiting for those who want to run at faster speeds for longer durations of time. Treadmills with an incline feature are often towards the pricier range. However, the NordicTrack T 6.5 S treadmill surprisingly has a fantastic incline feature available. It allows you to exercise at a maximum incline degree of 10%. We appreciated how easily you can change the incline setting too. It can be done with incredible convenience by just using a button. For a treadmill that’s as affordable as this one, we didn’t expect it to come with an automatic incline feature. Many other cheaper treadmills that have incline settings (like the Weslo Cadence R 5.2) require you to manually adjust the incline. With the T 6.5 S, you don’t have to stop your workouts to change the incline. This incline feature provides you with another option to make your workouts more challenging. The more difficult the workouts are, the better the results will be. 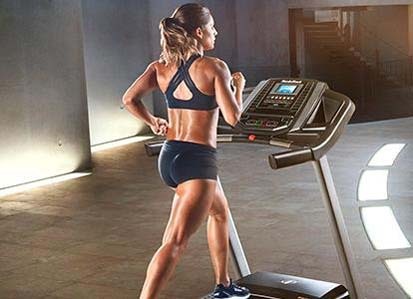 We were impressed to find that the NordicTrack T 6.5 S treadmill is equipped with a total of 20 workout programs! This is an incredibly vast range of workout programs at your disposal. As a result, you can be sure to pick out the best program that tailors to your workout goals. Once you select a program, the treadmill will automatically adjust itself for the workout. This means it will set the speed, time, calories burned, and incline (if needed). Alternatively, you can also choose to create your own workout programs. This can easily be done manually. You’re able to set the number of calories you want to burn, the incline level, time, distance, and target heart rate. We’ve mentioned a couple times how this treadmill gives you the ability to track your heart rate. However, you may be wondering exactly how it manages to do so. Well, there are some great pulse rate sensors that are built-in to each side of the handlebars. This makes it super easy to see what your heart rate is. All you have to do is hold onto the sensors for a few seconds until it comes up on the display. You’re able to do this as you’re working out, which means you can see the most accurate statistics for your heart rate. It’s an excellent feature for those wanting to do steady state cardio. It’s a fat burning method where you keep your heart rate at a consistently elevated rate throughout the course of a slower paced but longer workout. While exercising on a treadmill, a common complaint that some people have is that it’s boring. The NordicTrack T 6.5 S treadmill is equipped with an awesome sound system to ensure that you don’t get bored. There are two speakers which are both 2” in size. We found that they play music at a high-quality to keep you motivated as you workout. You can easily plug in your phone, MP3 player, or tablet to listen with no hassle. This is a great benefit if you hate having to wear earphones. When it comes to using a treadmill from home, many people are understandably concerned about the amount of space that it will take up. This is especially the case if you have a smaller living space. Using a treadmill that takes up a huge chunk of your room is not ideal. Well, the NordicTrack T 6.5 S comes with an amazing EasyLift Assist mechanism. This allows you to effortlessly fold the treadmill up vertically, without having to lift anything heavy. The EasyLift Assist does most of the hard work for you. As a result, once you’re done working out, you can fold the treadmill up and take it to a better place for storage. Many people also opt to simply move it into the corner of the room where they work out. It helps you to save space so that working out with a treadmill never feels like a burden. The display available on treadmills is always an important factor. They can make changing the workout settings a joy or hell. So, how does the display on this NordicTrack treadmill hold up? We were glad to discover that the monitor here is awesome. It’s a total of 5” in size and operates with an LED system. As a result, it’s incredibly clear and easy to use. It provides you with all the information about your workouts that you need to know. This includes the incline level, distance, time, calories burned, speed, and heart rate. Being able to see all your workout statistics on a treadmill is crucial for progress. It lets you keep track of where your fitness currently is. Therefore, you can easily set targets to achieve and improve each time you workout. Depending on your goals, the targets will differ for each person. For example, someone wanting to lose weight would mostly be concerned with the number of calories burned and their heart rate. On the other hand, those who are training for races would be more interested in the distance, speed, and time. 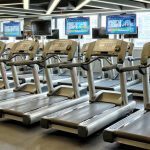 Using treadmills from home often brings up the concern surrounding noise. If there are people around you, a noisy treadmill can be disturbing. Some people like to set the treadmill up in front of the TV as they workout. Unfortunately, a treadmill that produces a lot of noise will drown out the sound of the TV. However, the NordicTrack T 6.5 S has a surprisingly quiet operation. While working out, you don’t have to turn the TV volume up all the way or be worried about causing too much disturbance. When it comes to assembling this treadmill, you will need to allow around an hour in total. The motor and deck are already assembled. So, all that’s required of you is to connect the console, folding leg, and posts. An Allen wrench is provided, but you will need to have your own screwdriver handy. There are also easy-to-follow instructions included. As long as you follow them, you should have your treadmill up and running in no time. 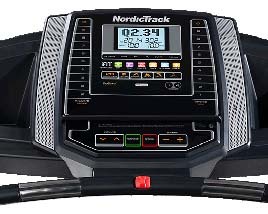 The NordicTrack T 6.5 S is an excellent treadmill for people who are new to working out and on a budget. It comes with a ton of beneficial features that you can take advantage of to boost your fitness results. The incline setting and 10mph maximum speed let you add a more challenging aspect to your workouts. A cushioned deck keeps your joints protected, and the Space Saver design, along with the EasyLift Assist technology, makes the treadmill incredibly easy to store out of the way. Having said that, the short power cable may prove problematic. 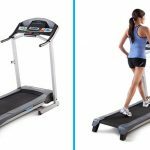 It means you have to position the treadmill in a specific area of your home to use it. However, considering the sheer number of features available for such a great price, we couldn’t help but be impressed by this treadmill. 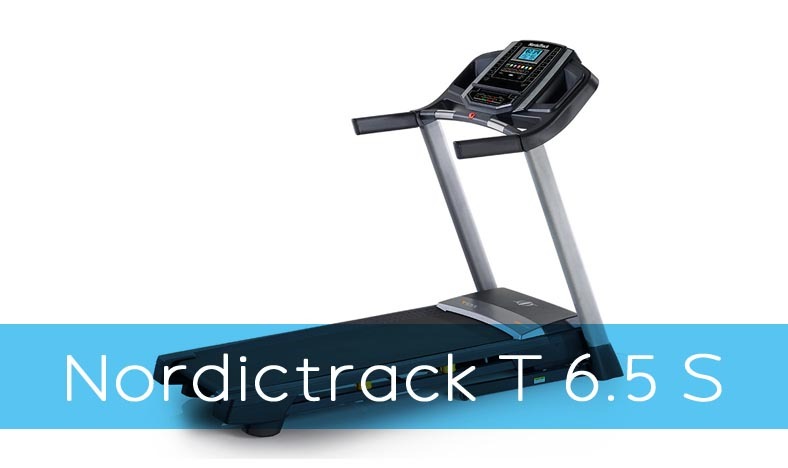 Use our review to help you decide whether the NordicTrack T 6.5 S is the right treadmill for you.